Looking for great Memphis restaurants near Graceland? The reviews are in and you don't have to leave the grounds or go downtown and no map is needed! Dining at Elvis Presley's Memphis offers many different lunch and dinner menu options to satisfy everyone in your group. When ordering for a group, please contact Graceland Group Sales in advance for reservations. Find great Elvis-inspired cuisines at these classic eateries – from a cup of coffee and a slice of cake to the ever popular grilled peanut butter and banana sandwich! 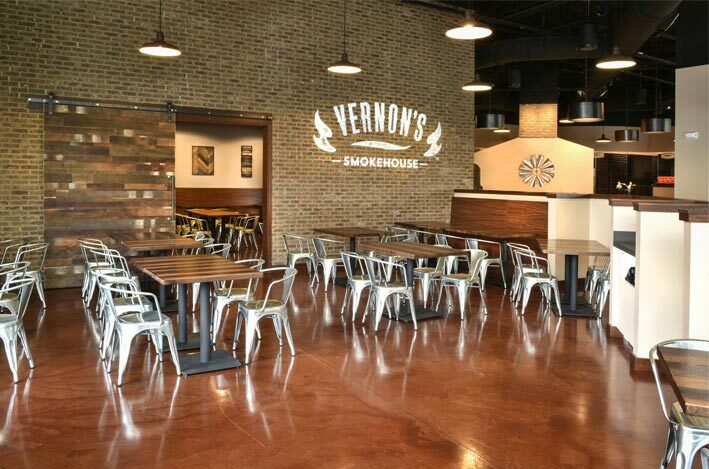 Vernon's Smokehouse features authentic Memphis BBQ fare, including pork ribs, beef brisket and chicken, with our exclusive Vernon's Smokehouse BBQ sauce. In addition, enjoy classic southern cuisine and Elvis' favorite home cooking, including meatloaf, catfish and BBQ spaghetti. Classic American cuisine, including burgers, hot dogs and pizza - plus one of Elvis' favorites - Peanut Butter and Banana Sandwiches. Build your own or choose one of our classic or designer fresh-baked pizzas, try either Chicago and New York-style hot dogs, and enjoy a variety of American sandwiches including Grilled Chicken Sandwiches, Philly Cheesesteaks and Patty Melts. In a hurry? 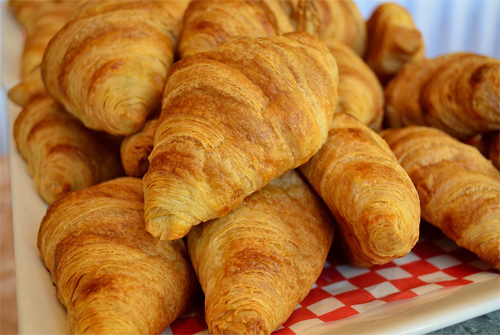 Stop by our Rock 'n' Go for coffee, freshly-made sandwiches, salads and snacks. Our full line of espresso drinks are made to your specifications. 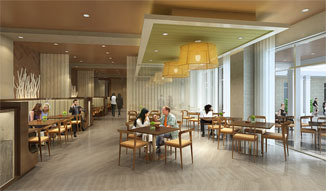 The menu also includes smoothies, iced coffees and shaken iced teas. 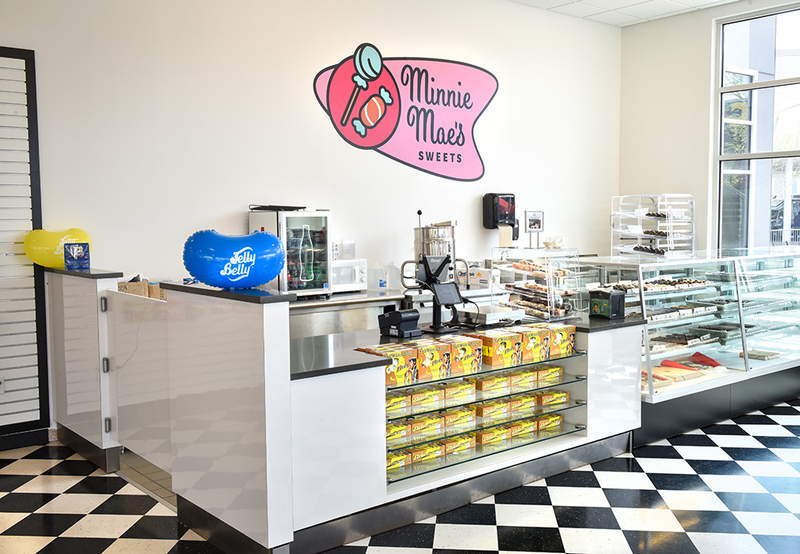 Be sure to also visit Minnie Mae's Sweets for hand-dipped ice cream, Root Beer floats, candy and more! Choose from 16 delicious ice cream flavors. Located at The Guest House at Graceland, this restaurant offers a la carte or buffet breakfast featuring contemporary versions a traditional Southern breakfast. The kitchen re-opens for dinner with a more upscale feel, with a handpicked wine selection and a menu that reflects the history and bounty of our Tennessee and the Mississippi Delta’s farms, fields and markets. 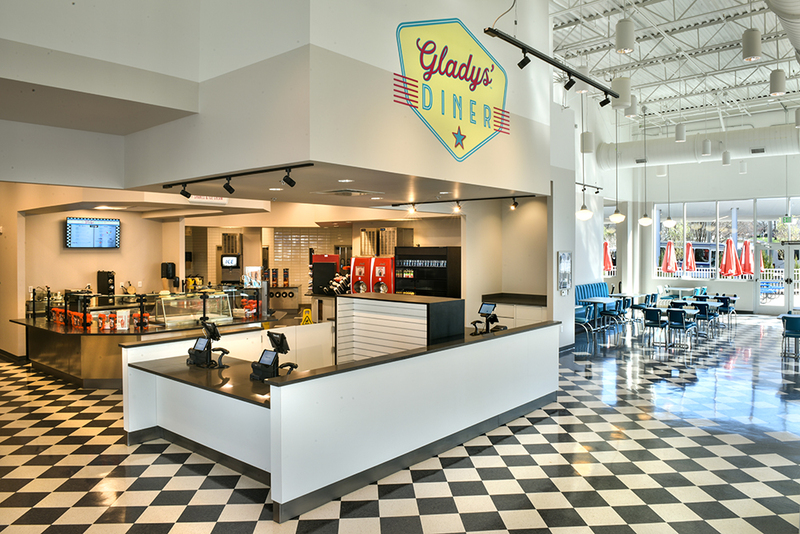 Feel the soul of the South with a modern twist at this restaurant located inside The Guest House at Graceland. 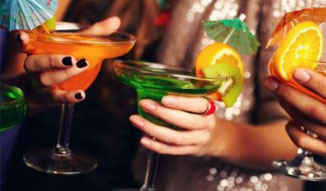 Elvis’ favorite food and beverages meet contemporary interpretations. You’ll feel right at home in this Memphis-inspired setting with lots of Southern flair and plenty of TVs to feed your sports cravings. Get the rockin’ and rollin’ started early with a delicious coffee, espresso or one of many baked treats, including our signature sticky buns. 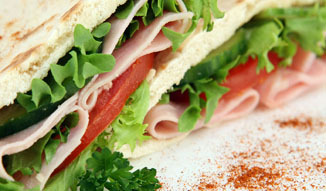 Open all day at The Guest House at Graceland, Shake, Rattle & Go also features freshly made sandwiches, salads and snacks. Sit back in style at The Guest House at Graceland's Lobby Lounge. 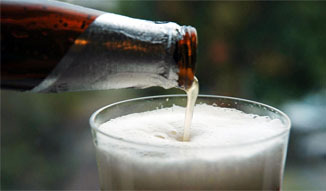 Pass the time at our afternoon tea or watching people come and go as you sip on local craft beers, wines, specialty cocktails and, of course, classic Tennessee whiskey and rye. Pair any of the above with delicious selections from the a la carte light dining menu.